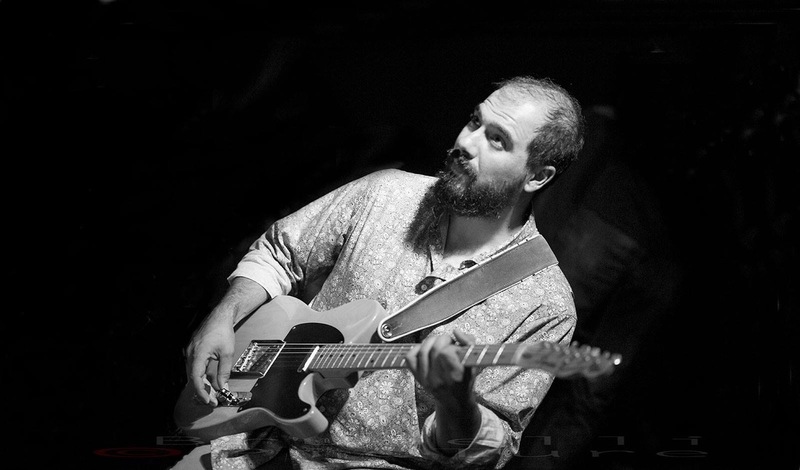 Guitarist and composer active in jazz, rock and experimental music. Training mainly self-taught. He studied jazz guitar with Bebo Ferra at the Milan Conservatory and arrangement with Massimo Colombo between 2014 and 2016. In 2010 he studied gypsy jazz with Romane Manetti in Bordeaux. In 2018 he took part in the Secret Windows trio with Andrea Ferrari (composition, sax baritone) and Davide Bussoleni (drums). In 2017 he starts a trio in his name with Danilo Gallo (bass) and Filippo Sala (drums) with whom he has recently recorded an album of original songs, Empty Yellow Thoughts, published with Bunch Records. In 2016 he started a collaboration with saxophonist and composer Roger Rota joining the OCTO project with Eloisa Manera, Francesco Chiapperini, Andrea Baronchelli, Andrea Ferrari, Roberto Frassini Moneta and Filippo Sala. The Acoustic Maqamat project was born in the same year with compositions by R.Rota with Fakraddin Gafarov (Tar and Ud). In 2016 he took part in the quartet of Graziano Gatti, Interact Ensemble, with whom he recorded the album Suite for a friend with Luca Pissavini (double bass) and Dudù Kouate (percussions). In 2016 he composed and recorded the soundtrack for the silent film “Tiger’s Coat” with Tina Modotti with Massimiliano Milesi and Eloisa Manera for the WeWorld film festival. In the year 2016/17 he held a jazz guitar course at the Conservatory of Bergamo in courses directed by M. Tino Tracanna. In 2016 he recorded with Massimiliano Milesi and Eloisa Manera the soundtrack of the multi-award-winning short “Ferruccio storia di un robottino” directed by Stefano de Felici. In 2015 he rewrites the soundtrack of the short “Un chien andalou” (1927) by Bonuel. Since 2015 uses LAA Custom amplifiers produced by Carlo Sorasio of Turin. with Gabriele Rubino on clarinets and Gionata Giardina on drums. In 2014 he took part in the ØRA project of Norwegian composer and trumpet player Øyvind Svendsen with Gabriele Rubino on clarinets and Marco Lorenzi on viola da gamba. In 2010 he recorded a record of original songs inspired by the music of Django Reinhardt, In punta di piedi, released by Di.Pai.Ton. Over the years he has collaborated with various theatrical groups including Simona Zanini, Teatro Tascabile di Bergamo, Odin Teatret, Compagnia Brincadera of Bergamo as an actor, musician and composer of music for the scene.